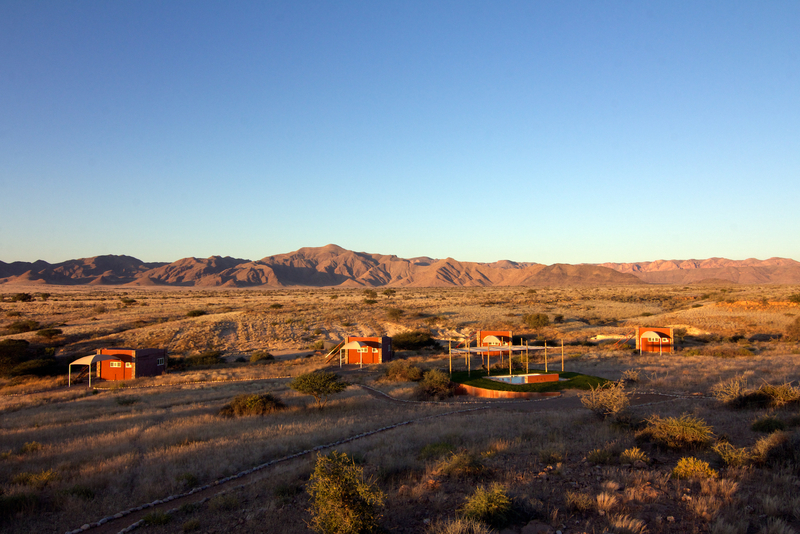 Agama River Lodge & Camp began as a campsite but has expanded to include comfortable chalets which have the option of sleeping on the roof under Namib sky or to watch the colours change on the Naukluft Mountains when the sun bids farewell to another stunning day. The Camp is sited around a dry riverbed on the valley floor. The Naukluft Mountains to the east loom proudly above everything. Despite being so remote, the Camp is able to provide all the comforts of home and a surprising range of facilities for relaxation when not exploring the surrounding area. Not least amongst these is the stunning swimming pool and a very practical shelter from the sun. The main building houses the cosy bar, an excellent restaurant, and a large viewing deck. However, the opportunities for exploration will overcome most Guests and they may find themselves hiking or driving in the nearby mountains, or visiting the all consuming Sossusvlei dunes and Deadvlei not far away. 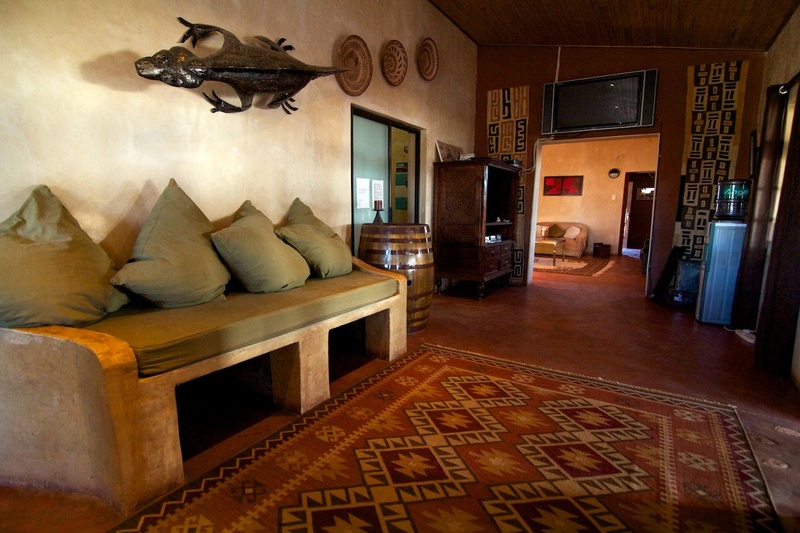 Welcome to unequalled hospitality in the Namib Desert. 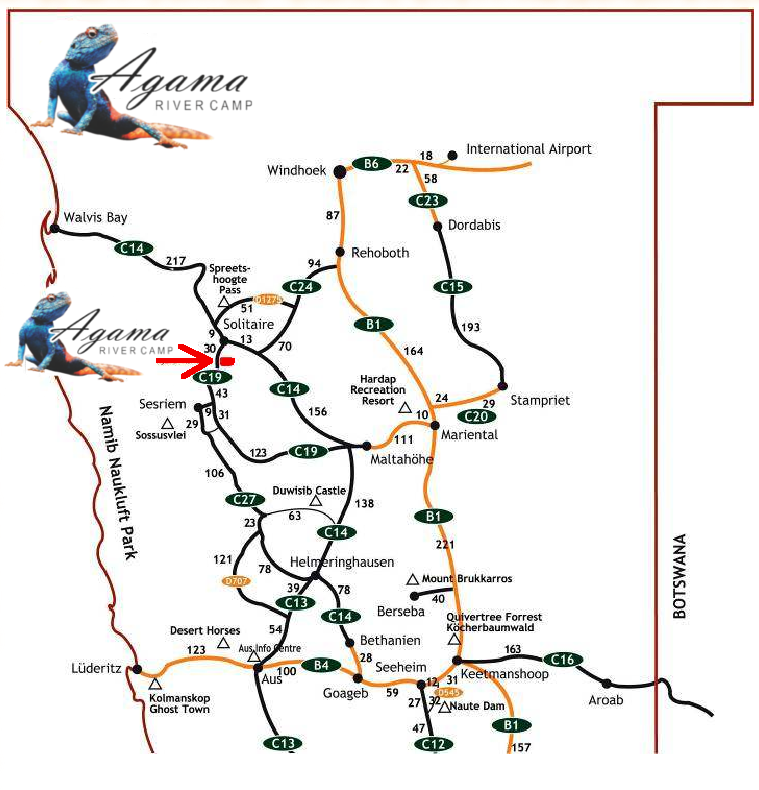 At Agama River Lodge & Camp we offer affordable accommodation for any budget: well-equipped campsites, cosy chalets, a bar as well as a restaurant serving outstanding food. Our guests tend to fall in love with the open-air swimming pool and the viewing deck which offers unhindered views of the central Namib Desert. Our chalets are situated on the upper banks of the 'Dieprevier' river course, each chalet is thirty two square meter, and twenty five meter adrift.Each chalet has A/C, two modern three quarter beds, side tables with lamps, an open cupboard, a long wall mounted table which can be used to put a suitcase on or apply make-up from. 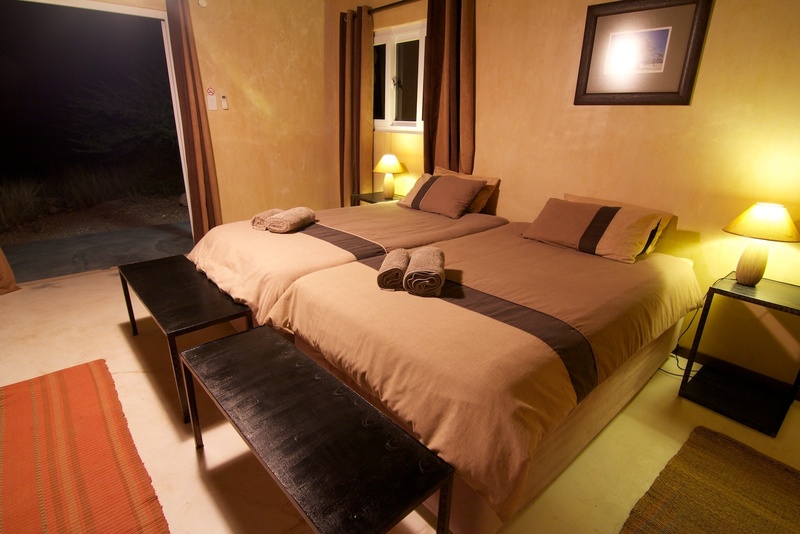 a strong desk fan for air circulation, a portable lamp for emergencies, two extra blankets for the cold nights.Two chairs are also provided inside the room and two for the veranda.The bathroom has a large spacious shower with hand basin and mirror. The toilet is a separate facility separated by a solid door.Each Chalet has a solid deck for the option of sleeping under the sky or simply for an elevated view.